Sea Salt Contaminated With Plastic - Is Yours? The bottom line is that there is a very high likelihood there are micro plastic particles in your fancy sea salt. Considered a healthier alternative to table salt, sea salt is derived through evaporative means. Producers collect seawater and evaporate it until only the salt is left (at least that’s what is supposed to happen). The source of the sea water could be the problem. While it’s quite convenient to collect seawater from the coastline, the concentration of plastic particles from runoff including cosmetics, microbeads and decomposing plastic may explain the plastic particles found in 15 Chinese sea salt brands in a recent study. The researchers measured more than 250 particles of plastic per lb of sea salt. 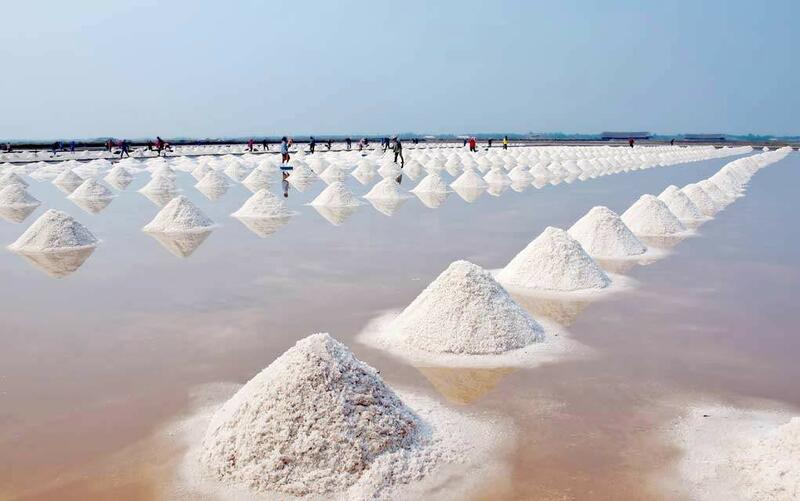 The team, led by Huahong Shi of East China Normal University also found tiny particles of plastic in salt sourced from briny lakes, briny wells, and salt mines, although at lower levels— between 3 and 165 particles/ lb. We’re not aware of any American sea salt brands having been tested yet, but according to one researcher, it’s very likely that many of them could be contaminated with plastic particles as well. As reported by NaturallySavvy.com, according to the research, published in the journal Environmental Science and Technology, a wide range of plastic pollution is contaminating salt as our ocean’s continue to fill up with plastic debris. The research comes on the heels of another study pointing to plastic debris in at least 25 percent of fish sampled in the U.S. and Asia. In the meantime, sea salt may still be a lesser of evils when it comes to chemically derived table salt which comes from sodium chloride which is often contaminated with sand and glass. We’ll be following this developing story with hopes that sea salt producers will take action and begin sourcing their seawater from deeper and cleaner waters.